It seems that the whole country has been in some sort of cold spell for the month. Which leaves me thinking.........soup for breakfast? This bisque is a marriage of sorts. It has the sweetness that many crave in the morning, but the warm comfort of a soup. The combination leaves you satisfied all morning long! Bring almond milk to a boil in a medium saucepan. Add butternut squash, reduce heat to medium, and cook for 15 minutes or until soft. Use an immersion blender to puree. In a small blender, combine yogurt, whey powder, honey, and cinnamon. Whip for one minute. 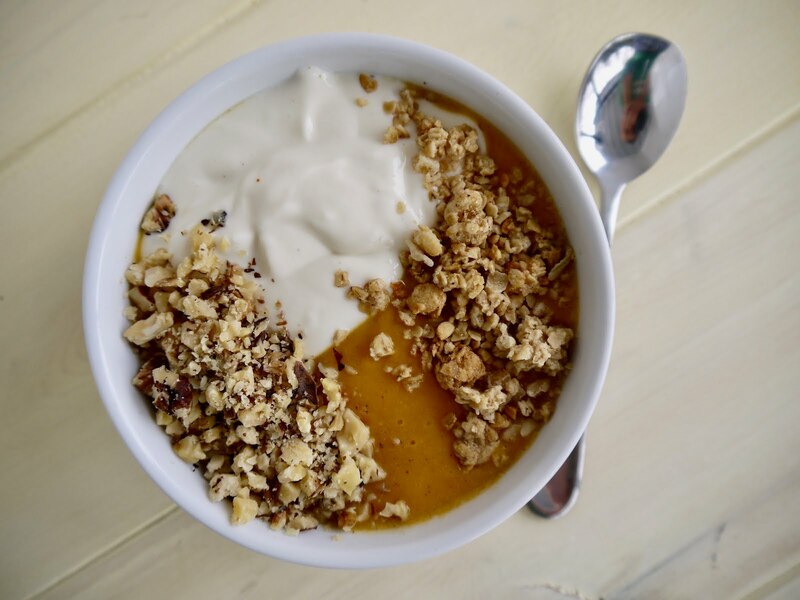 Serve bisque warm, topped with yogurt mixture, granola of your choice and chopped walnuts (optional).